This New Hudson Lane Spot Does Popcorn Ice Cream, Fanta Shakes & More! Popcorn & Cola is a new joint in Hudson Lane doing fun popcorn flavours, popcorn fries, ice cream, shakes and more. Cheetos popcorn, Fanta shake, Cola Ice Pop. 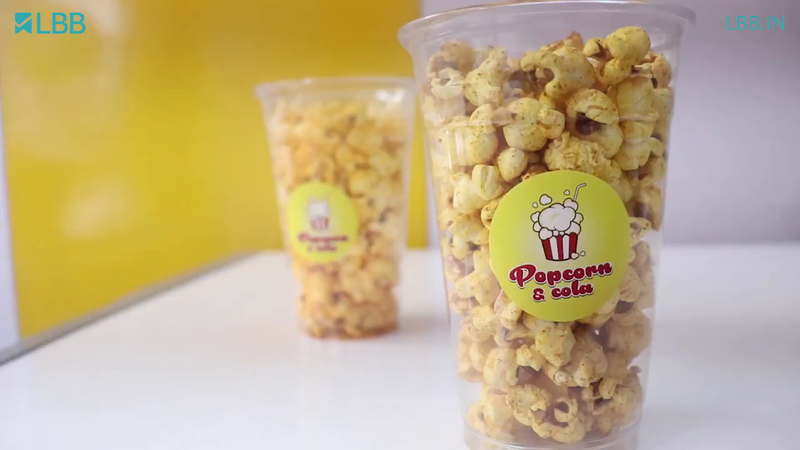 Bringing popcorn out of the cinemas and on to the streets, Popcorn & Cola's Hudson Lane outlet has flavours and fusions you'll love. We loved the Cheetos flavoured popcorn (took us back to our childhood), the Maggi masala popcorn, and the Cola Ice Pop–a mix of ice cream, chocolate popcorn, and soda. They've also got classic, butter, chilli, caramel, dark chocolate, and diet variants. And if you're in for some crazy fusions, their popcorn ice cream, fries and ice cups will be right up your alley. You'll get masala cola, mint mojito, Fanta shake (it's so good! ), cold coffee and other beverages to wash down all the popcorn. They've even got a whole menu section dedicated to fries–peri peri, anyone? We might be nit-picking, but we wish the counter was a bit lower for easy access. We suggest using public transport to get there; finding a parking spot is quite a task.